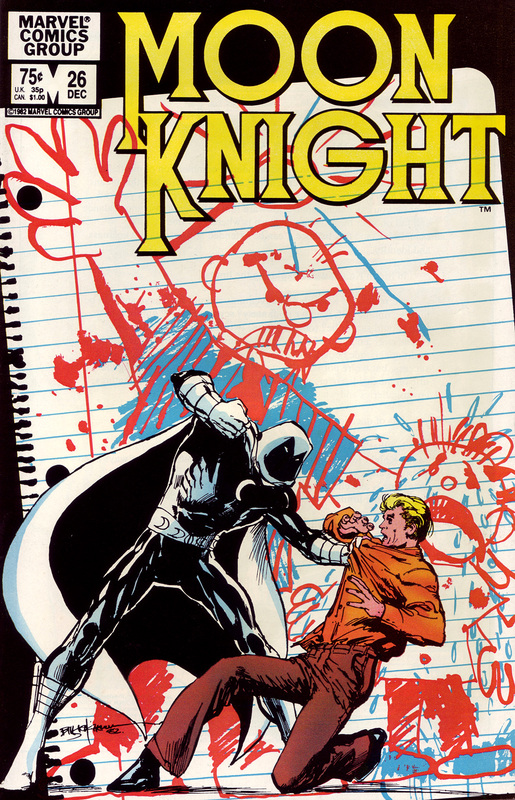 The great Bill Sienkiewicz doing Moon Knight #26. This is one of my all time favorite issues and one of my all time favorite covers. Very powerful child-abuse storyline. Check back here tomorrow night for more in the count-down of my Top 100 favorite comic book covers. It’s a great cover. An even better story. Sienkiwicz himself considers it the highest he could possibly reach on Moon Knight, and left soon after. He basically did that, and then dropped the mic.